Two days after the March 1 terrorist attack in Kunming, capital of Yunnan province, Liu Ersi wrote an email to the principal of the School of Architecture, Design and Construction at the University of Greenwich in London. In his message, Liu suggested that a forthcoming lecture tour by academics from the British university should be deferred for safety reasons. Liu, president of the International Business School at Yunnan University of Finance and Economics, was concerned the visitors might be apprehensive about their safety after the knife attack that left 29 people dead and 143 injured. A prompt reply reassured Liu. “They had heard about the attack, of course, but refused to cancel their trip,” he said. The attack in Kunming was a watershed for Chinese society; for the first time the wider population was faced with the specter of terrorism in major cities. Before March 1, terrorist acts mostly occurred in the Xinjiang Uygur autonomous region in the far west of the country, or were seen as a phenomenon that occurred in other countries. 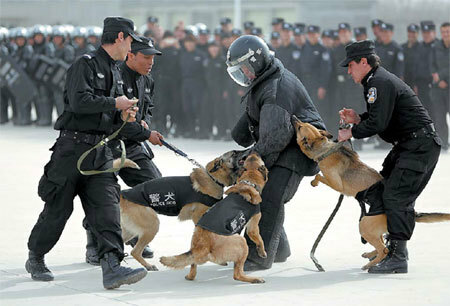 The attack left a tense atmosphere in Kunming, a well-known tourist destination, famous for its natural scenery and as a center of cultural activity. The initial shock wore off quickly, but residents remained on high alert. In response, Yunnan is set to launch a pilot plan to promote awareness of terrorism and provide safety tips that will allow the local population to respond to any future attacks. On March 2, the day after the Kunming attack, Yunnan Education Department published a notice that listed awareness of terrorism as a priority for the provincial education system. “Our aim is to promote the program heavily and regularly and make awareness of terrorism part of people’s daily lives,” said Gui Zhenghua, director of Yunnan Education Department’s publicity office. Gui said the lectures will provide details of the situation in China and overseas, and will have a special focus on personal security within schools. “It will not just be aimed at the students but also the teachers, especially those working in primary and secondary schools,” Gui said.